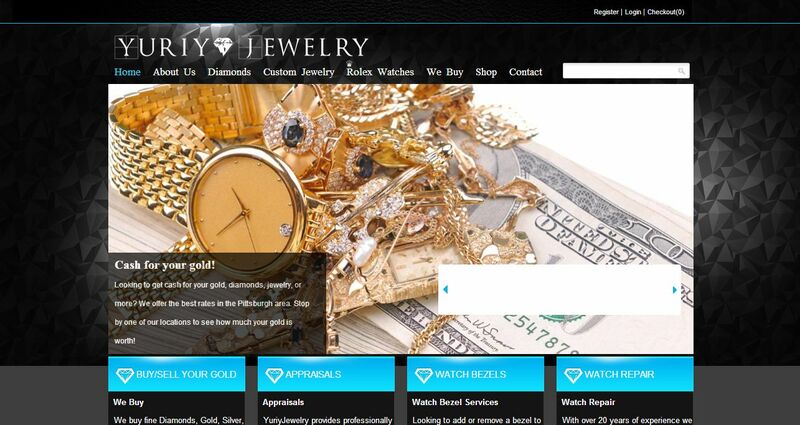 Yuriy’s Jewelry address, phone, website, hours of operation, and more. Yuriy’s Jewelry is a family-owned business and has operated in Pittsburgh, Pennsylvania for 20 years. We are experts in the field of jewelry design, sales and service. As a family-run, independent jeweler, our stores offer a wide selection of quality diamonds, jewelry and watches from the best brands in the business. 20 years ago Yuriy started on the bench repairing, designing and re-designing jewelry. Today Yuriy has 4 locations serving the Pittsburgh area. At Yuriy’s we pride ourselves in delivering excellent customer service. Yuriy’s Jewelry is a leading independent dealer of Certified Pre-Owned luxury timepieces.We offer a selection of vintage and contemporary wrist watches. Yuriy’s Jewelry is also a buyer of Large Diamonds, Gold, Silver and Coins. Complete customer satisfaction is our goal. We have a reputation for honest, trustworthy and dependable service that is second to none.